I quickly clicked the home button on my phone making the text message disappear. A lump formed in my throat as I tried to hold back the tears. The ache gripped my heart tightly. How did I end up at the doors of betrayal once again? If you are at all like me, you have been at those very same doors more than once in your life. Reaching into the lives of others gets messy because we are reaching into a fallen world where betrayal is possible, and often, common. and the rejection is loud. Whether the betrayal is at the hands of someone deep inside our inner circle, or from a co-worker we may have just recently met, it is real. The devil wants nothing more than to use the betrayal to make us forget the truth of who we are. He wants us believing his lies, using someone else’s story as a tool to steal the goodness of our own story. That day, as I experienced the betrayal, I felt my thoughts pulling me into the downward cycle of self-blame, unworthiness, and bitterness. I wanted to hide away, hardening my heart to relationship. 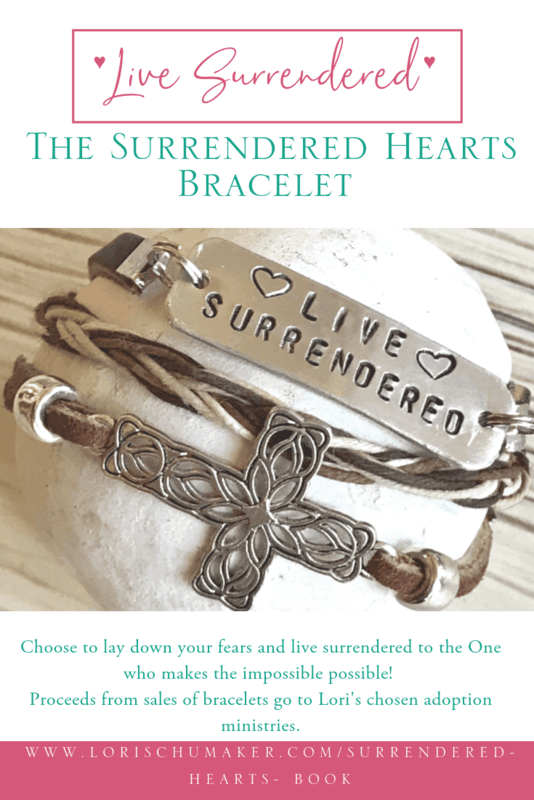 I craved a sense of safety, and the enemy beckoned for me to hide my goodness from the world. He beckoned me to hide my light. In that moment it was tempting. Hiding the good in me away forever in order to protect it from all future attacks, seemed my safest act. Truth declares hiding as contrary to His desires for us. If I choose to live contrary to the way in which God has called me, I will only feel a greater cheap nolvadex no prescription sense of unworthiness and bitterness in my soul. People will continue to come into our lives, each with their own story. Some will bring light and the mixing together of ours and theirs will be beautiful! However, some will bring darkness. When that time comes, I pray we keep our eyes on the One who is the author of our story. The One who is truly safe. He will not only give us strength to hold onto the goodness of our stories, but He will pour immeasurably more beauty into them. Friends, your story is beautiful. It is filled with the light of Christ and with it you can shine that beauty onto those caught within darkness. With His light, betrayal cannot hide, and with its exposure the power of the enemy is cancelled. Your beautiful story doesn’t just live on in spite of the darkness. It rules over the darkness! If you are new here or just haven’t gotten around to subscribing to Searching for Moments, would you consider it? I’d love to get to know you better and this way you won’t miss out on any of the latest happenings like #MomentsofHope Mondays! Plus, you will get the chance to grab some free goodies, too! Looking for more encouragement? 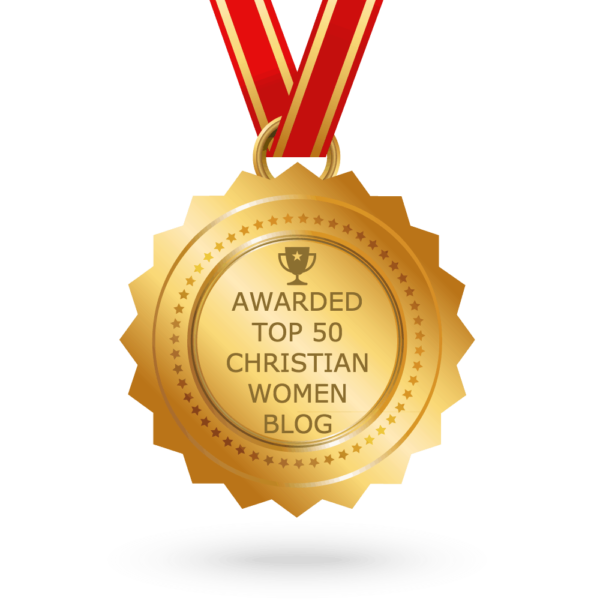 I regularly link up with these fabulous bloggers! I love this. I have been there and keeping my eyes focused on God set me free from hurt. Thanks so much, Jenny! I am praising God that He set you free from that hurt! Hallelujah! Yes ma’am! Let your light shine…so He shines! Love your prayer today. Equip me Lord. Amen, Susan! He is equipping you for amazing things, my friend! Thank you for encouraging me and stopping by to visit! You always make my heart smile! Great words, Jenny! I love when you describe, “Your story is filled with the light of Christ and with it you can shine that beauty onto those caught within darkness. With His light, betrayal cannot hide, and with its exposure the power of the enemy is cancelled.” Yes and amen! Thank you so much for stopping by with such encouraging words! I’m so glad you enjoyed it! I’ve been there countless times, and known this too well as a pastor’s wife. I’m thankful God is able to redeem the broken during these tough times. I have a super soft spot in my heart for pastor’s wives. You truly do understand betrayal in a unique way that the enemy could use to break apart every good thing you and your husband are working to do in your ministry! I am praising God for His redeeming power in your life! You have another prayer warrior, my friend! Thank you, Lori! You’re truly a blessing. Thank you, Samantha! Likewise, my friend!!! Such words of truth and wisdom! I have been there too. I love your words that Satan wants us to believe the lies of someone’s story about us as a tool to steal the goodness of our own story. I am a people pleaser and when someone doesn’t like me, it’s easy to question my worth and wonder why. This is such an encouraging reminder to remember who we are in Christ. Thank you, Valerie, for your encouraging and kind words. I am a recovering people pleaser, as well! The book that helped me turn the corner in that area was Joyce Meyer’s Approval Addiction. I highly recommend it! I am so thankful God used these words as a gentle reminder of just how wonderful you are!!! 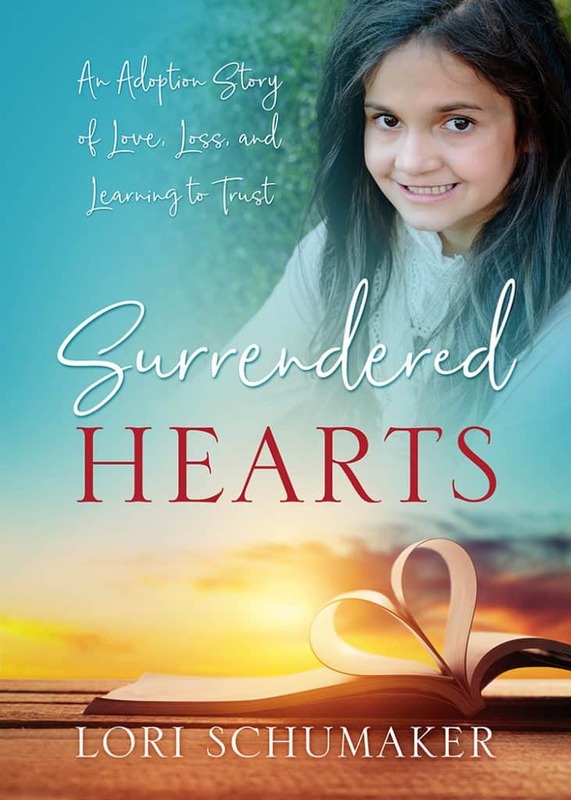 Oh I love this Lori: “He will not only give us strength to hold onto the goodness of our stories, but He will pour immeasurably more beauty into them.” YES! I allowed too much darkness from my past cover the light within me for years and all I want to do now is let it shine! Your words were so timely. I’ve been dealing with feelings of betrayal and rejection. Satan will try to stop us from shining our light, but we must continue shinning for God. Oh, Carolyn, I am so sorry you are in a season of dealing with this. No matter how often it happens or how much we know it WILL happen, it still hurts the same. Please hold onto your beautiful light and keep writing your beautiful story! I am so thankful God used my words to encourage your heart! Love how you said our stories all come together to make something beautiful Lori! Great post! God is the most amazing artist and creates the most beautiful of things!! Thank you so much for stopping by!!! This is so fantastic on so many levels. Pinning, tweeting, and sharing. Thank you for this. 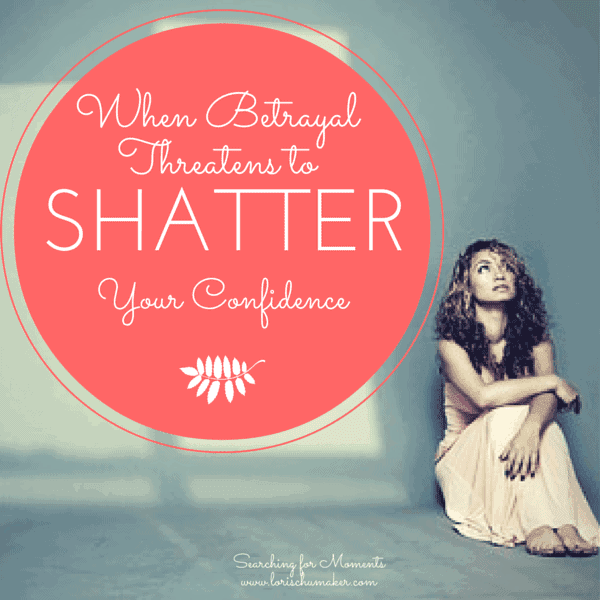 I really think you nailed it all…why we want to self-protect after a betrayal. I had some gut wrenchingly painful ones in the past few years, and it’s so true some folks bring darkness, despite our best efforts to shine light, but it’s also true that His Light exposes lies, and they have no power over us. Bless you! I just LOVE this! Oh, Bonnie, I am so happy you enjoyed this and found truth! I am so thankful that God walked you through those painful times. And I am praising Him that the lies of the enemy have no power against you!! Thank you so much for visiting and for being such a blessing!!! Thank you for stopping by and thank you for sharing!! I am so very sorry you had to face betrayal and hurtful words this week. I wish this type of brokenness didn’t even exist in the world – but then again, I know we wouldn’t need Jesus if there wasn’t pain on earth. My friend, I am praying for you to keep shining your beautiful light. It is beautiful and you are doing such wonderful things all to point to God’s glory and in that you are holding tightly to the goodness of your story! I am so thankful God used my words to minister to your heart! Thank you for letting me know. That is such an encouragement to me! I love it when you said, ” When that time comes, I pray we keep our eyes on the One who is the author of our story. The One who is truly safe. He will not only give us strength to hold onto the goodness of our stories, but He will pour immeasurably more beauty into them.” Amen, sister! Here’s to holding onto the goodness of our stories! I’m so thankful you enjoyed this and found truth! Thank you for stopping by!!! This is my favorite quote from this post, “With His light, betrayal cannot hide, and with its exposure the power of the enemy is cancelled.” Praise God for the victory! I was betrayed by my father, and the exposure of God’s light has definitely cancelled the power of the enemy. Oh, sweet friend, I am so sorry you were betrayed by your father. Such ache you have had to endure. I want to give you a big hug and high five for holding onto Jesus and shining His light into that situation and in turn, knocking the enemy OUT! Thank you so much for sharing a piece of your story with me. I am so thankful God used my words to remind you of the victory you have in Him! I love this. i also loved the line below it and tweeted it too: Friends, your story is beautiful. It is filled with the light of Christ and with it you can shine that beauty onto those caught within darkness. Thank you for these truths today. They really encouraged me. I am so thankful God used these words to encourage you! And thank you so much for tweeting these lines! I just found you on Twitter so I could follow you!!! This is my first visit here…loved what I found. Your prayer at the end is so powerful. The enemy would like nothing more than to use betrayal to get us to separate ourselves from the world that so desperately needs the light we have to shine. Praying I/we can hold onto Truth vs. lies of betrayal. Oh, Bev, thank you so much for your kind words. I am so humbled that God would choose to work His amazing goodness through my writing. I will be praying for you to always hold onto the truth and the goodness of your story!!!! God ‘s grace is our road out of the swamp of betrayal. I love your metaphor of “light” — and we so need His shining greatness! Amen! His shining greatness is our beacon of hope!!! Thank you so much for stopping by! Beautifully said. Thank you for sharing this touching post. Beautiful words, Lori! God used your story of betrayal to teach us all that He will never betray us and darkness only comes from the enemy. Thank you for sharing this at Weekend Whispers and fro allowing God to speak through you today. Your words are such a blessing! Trying to battle back after betrayal is so very difficult, but as you said, we can’t hide ourselves; rather we need to carry on in the light and believe our Father is more than strong enough bear our burdens. Amen! He is strong enough to bear our burdens! I am praying with you that we all remember that!! Thank you so much for stopping by! Hi Lori, I think I can relate with this post. It hurts going through a betrayal and not easy swinging our arms open to new people. Thanks for the encouraging words you have shared here. Hi Ifeoma, You are right. It is not easy! I believe, though, that with God, we can still be His light here on earth while tuning in carefully to situations where He may be warning us to place a boundary. Thank you so much for stopping by! I treasure your presence and encouragement!